There is considerable debate and uncertainty as to how old the present buildings at Court Farm are. 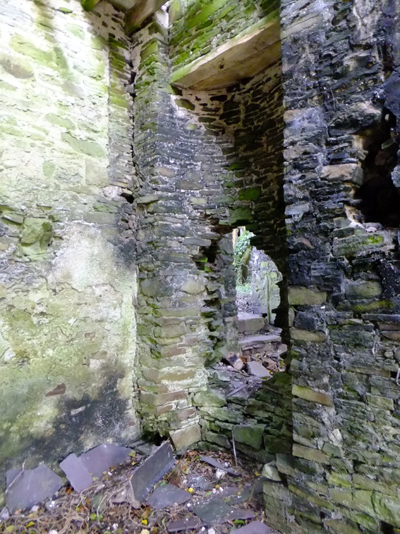 Historical records show a building at Court as early as the mid 14th century, but various reports over the years by the Royal Commission on Ancient and Historic Monuments for Wales has revealed three different interpretations! The earlier two reports talk of ‘medieval origins’ and the possible existence of a ‘tower house’. 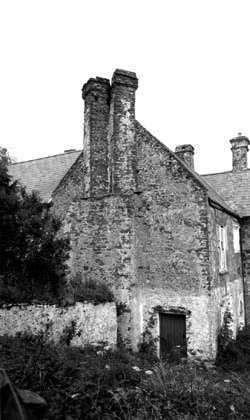 The later report prepared in 2010 considers that the medieval remains are ‘archaeological’ and that the manor house dates from the mid 16th century. As no detailed archaeological investigations have been undertaken it is difficult to be certain and hopefully such investigations will be done in the future to inform us further. 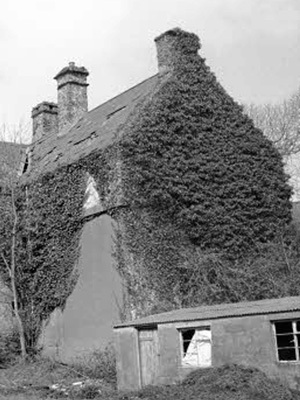 The manor house as it now stands has been dated to around 1550. This makes it the earliest surviving house in the area by some 150 years. It consists of a ground-floor hall range with large lateral fireplace and a first-floor great chamber over the hall. Up until this time medieval halls were open to the roof and lateral fireplaces were added instead of a central hearth. It is contended by the Royal Commission report that Court was of the first generation of storeyed houses and is particularly notable for its great size and height, and is perhaps the greatest surviving house of this type. This dating relies on the dating of two stone fireplaces as being mid 16th century. 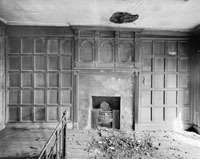 If the lateral fireplaces were inserted into an earlier building, and there is physical evidence to suggest this, then the building could be even earlier. In about 1600 Court Farm was altered and extended. A rear service range was built to the rear and linked to the house by a new cross wing. This created a U-plan complex with an inner courtyard. Court Farms inner courtyard now! The newly extended manor house was characterised by important and high status late-Elizabethan architectural details notably sunk-chamfered stone windows and diagonally-set chimneys. Interestingly in the service wing to the rear the stone windows are replicated in timber, possibly as copies made by a local craftsman. At his time the new first floor principal chamber in the cross wing was clad in fine Jacobean panelling; although all the other fine architectural details of this period still remain at Court Farm, this panelling has been removed within recent years and is rumoured to be in safe keeping somewhere in the area. There remain two elements of the c1600 alterations which cause architectural historians more than a little difficulty, the so called ‘porch’ on the front elevation and the ‘barn’ a completely separate structure facing the old road which ran to the south of Court Farm. 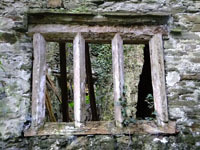 The ‘porch’ is so named as it was assumed that that a ground floor window had obviously once been a doorway. This extension is characterised by external and internal corbelling and at some stage a floor had been inserted. It is now suggested that his may have been a staircase wing as one would expect to find on such a high status house of that period. Quite how this would have led to the great hall and great chamber is a matter for further investigation and interpretation. The ‘barn’ is both corbelled in the manner of the ‘porch’ and also crenellated giving it a distinctive military appearance. Its original use can only be guessed at until further investigations are undertaken. The two earlier Royal Commission reports are largely silent on the matter and the latest report suggests as it was originally a stable block. Interestingly there is evidence that the building extended eastwards, in which case it would align with a recently discovered carriageway entrance to the upper garden. It is tempting to suggest that the ‘barn’ is therefore the remnant of a larger structure incorporating a gatehouse. In about 1700 there were some further alterations in the upper (western end) of the hall. 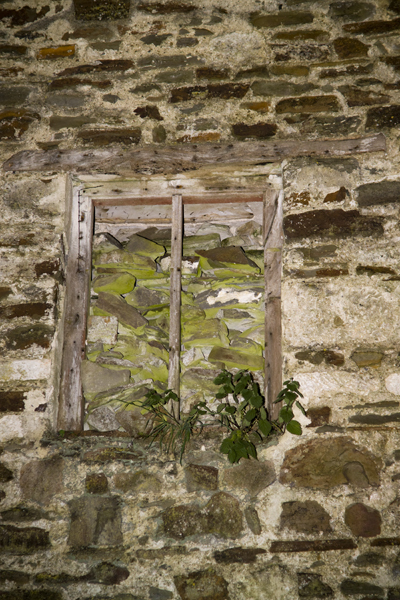 Here four blocked up openings show evidence of classically proportioned windows in the western gable wall. 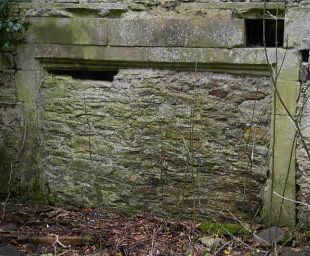 The room was panelled and there remains evidence of a semi circular ‘buffet’ or display cabinet in one wall. Court Farm escaped the modernising zeal of the Georgian and Victorian periods, the only significant change after 1700 was the insertion of a wall within the great hall when the manor house was divided when used as a farm. The intriguing story of the development of Court Farm has not yet been fully documented. Further investigations and interpretations are required before this can be done. Perhaps we shall never know the full facts, but such mystery only adds to the charm of this uniquely fascinating building.